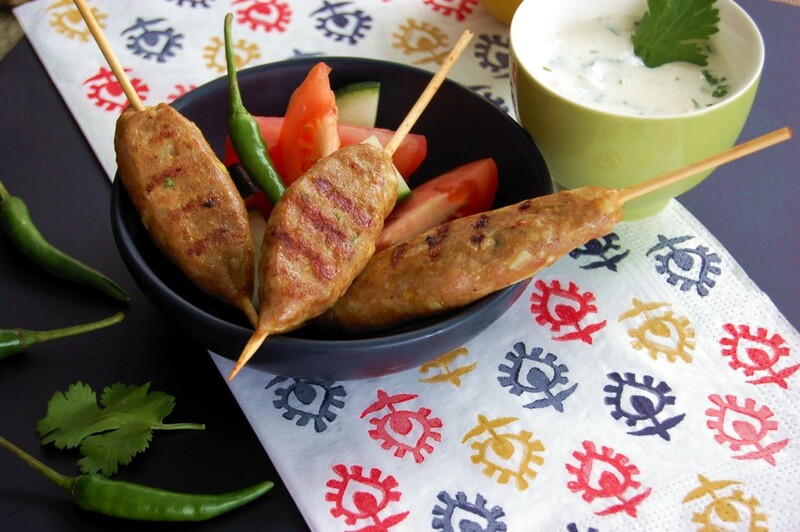 To make Indian style kebabs, you will only need a couple of ingredients: ground meat (or veggie 'ground round'), onions, cilantro, sea salt to taste and spices. 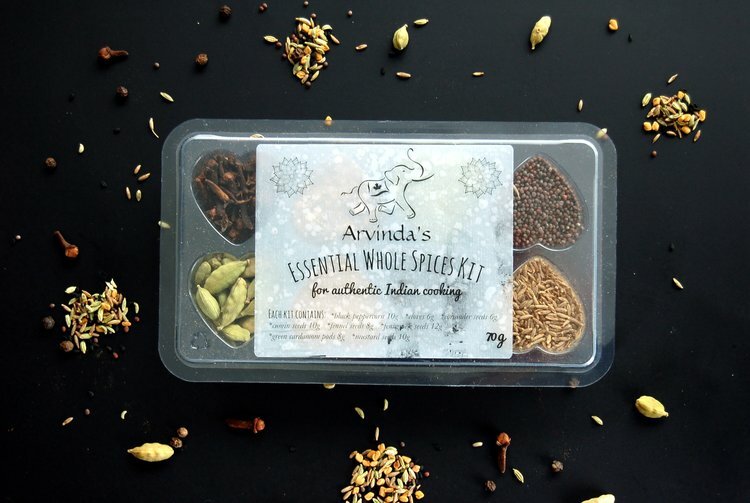 In this case we use Arvinda's Kebab Masala, an aromatic blend of spices including turmeric with some of chilies for heat. 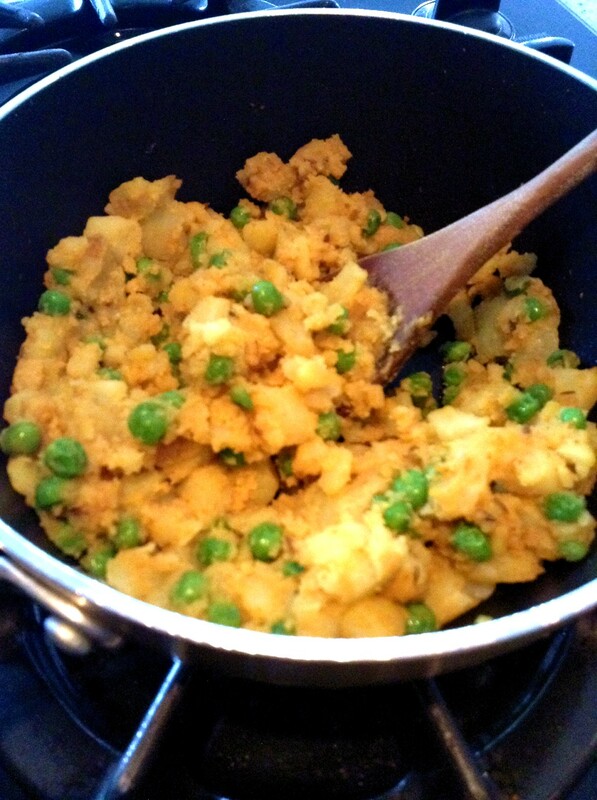 I followed the recipe below and made it with the veggie 'ground round' for the first time. 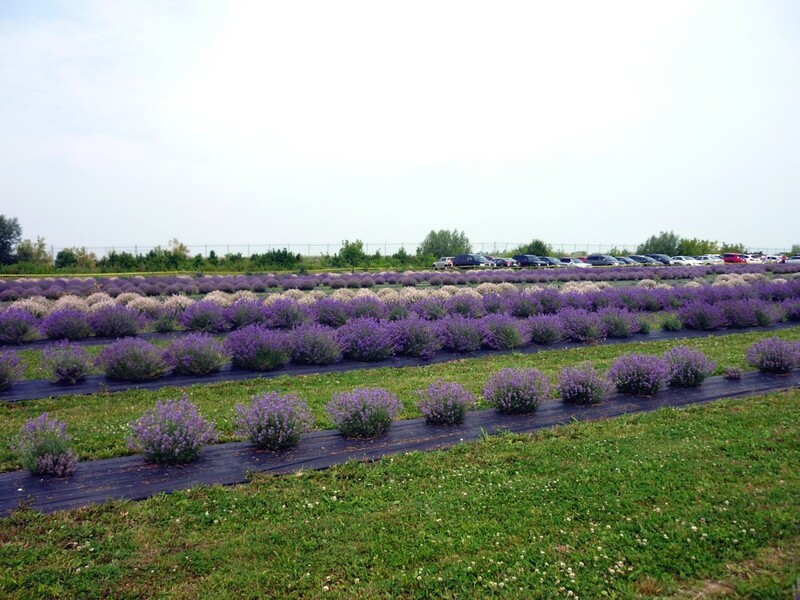 I never tried that 'ground round' product before and was pleasantly surprised! It formed nicely into kebabs and took up the flavour of the spices so nicely. 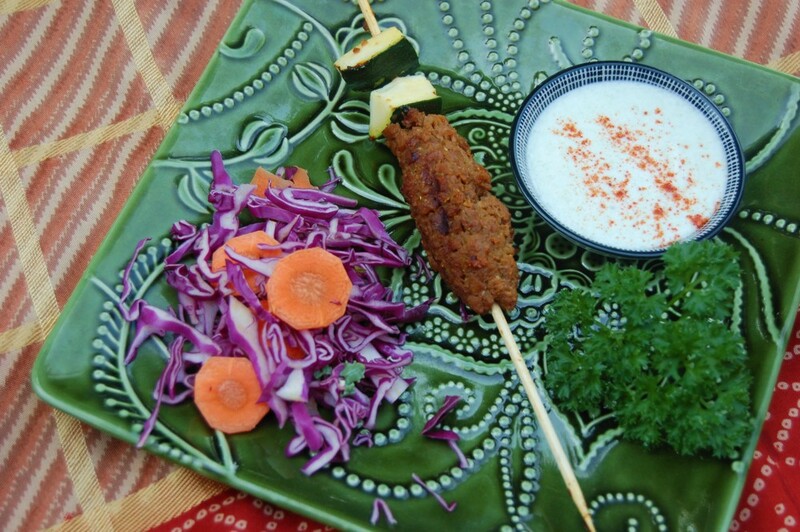 I didn't find it difficult to form into the kebabs on the skewers, so will definitely be making these again for vegan option. 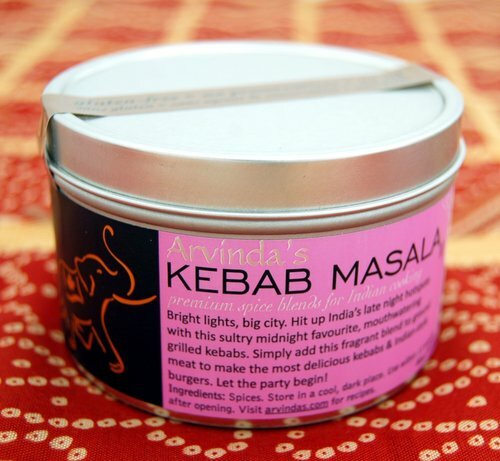 Vegan Indian Style Kebabs made with veggie 'ground round' and spiced with Arvinda's Kebab Masala. Delicious! 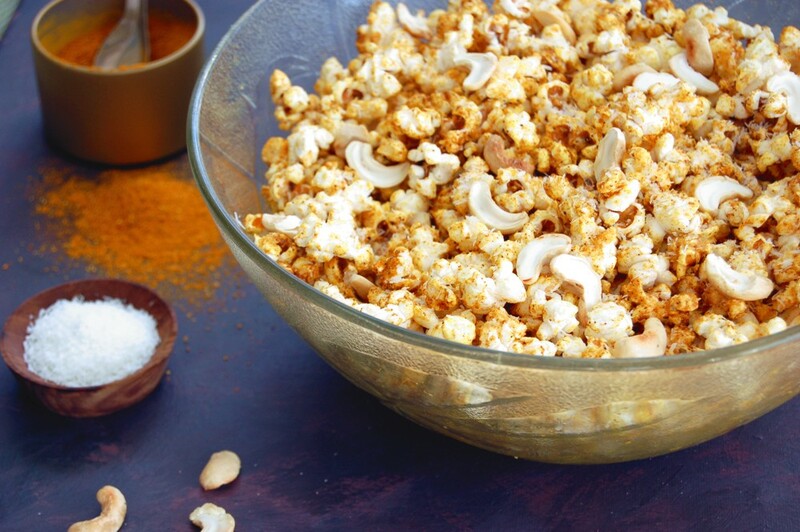 Feel free to shape this mixture into burgers for a deliciously spiced Indian style Bombay Burger. 1) In a large bowl, combine all ingredients. Mix well, cover and refrigerate for 2-3 hours to marinate. 2) Soak bamboo skewers in water for 20 minutes. Preheat oven to 400F. 3) Thread mixture onto skewers and lay kebabs on a baking sheet lined with foil. Brush with oil and bake for 10 minutes. Turn over and continue baking for another 5-10 minutes or until cooked. 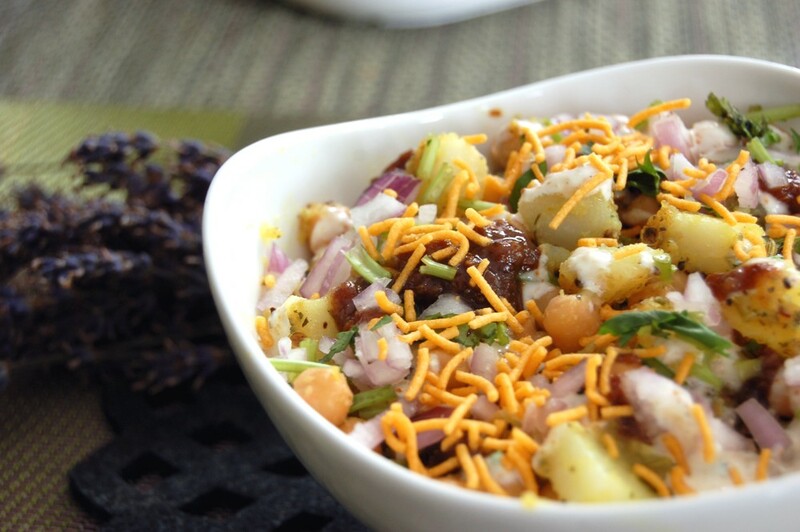 Serve on bed of basmati rice drizzled with cucumber raita. 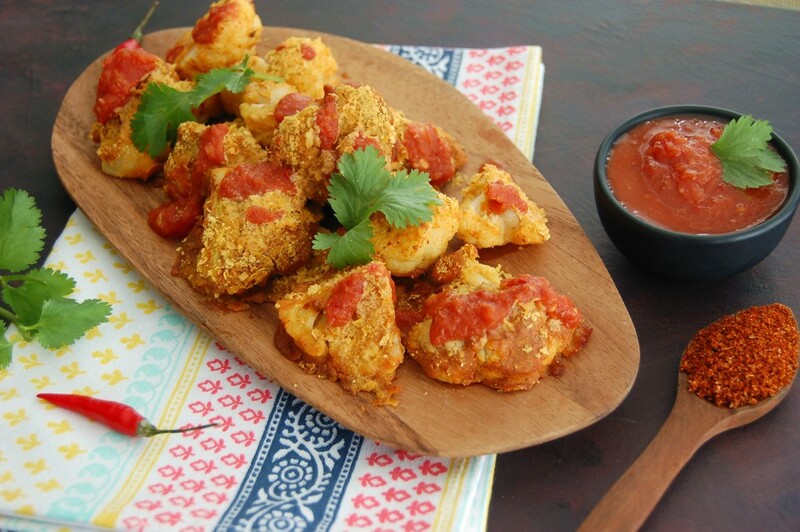 Game day foods! 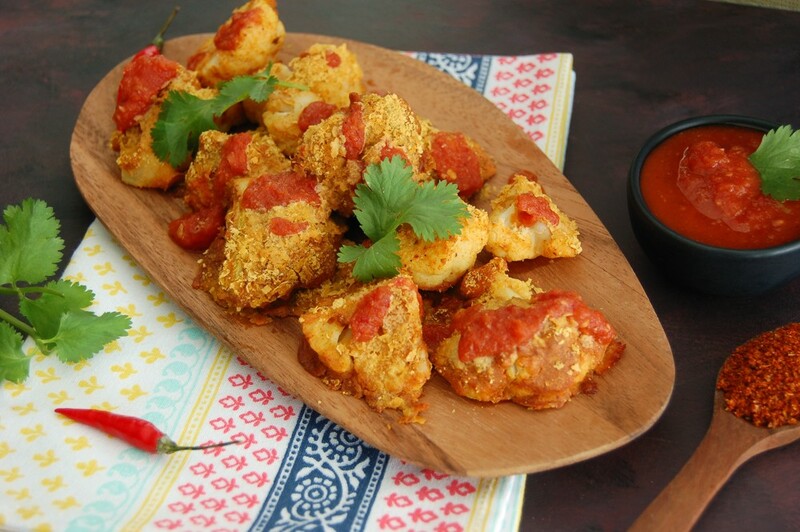 In the spirit of today's 2018 FIFA World Cup final I thought it would be fitting to prepare snacks that are culturally appropriate to the two remaining teams, of course with a sprinkle of some Indian spices for good measure (and for good flavour!). And around here, we're all about flavour. I was looking to see what foods are enjoyed at soccer games in different countries and came across this list of "What do Europe's football fans eat?" and discovered Galette-Saucisse for the first time. Galette-Saucisse is a common street food eaten in France, consisting of a pork sausage wrapped in a Breton galette, a warm or cold buckwheat crepe. There is cheese inside and it's served with mustard. It's a perfect hand-held food for a game. 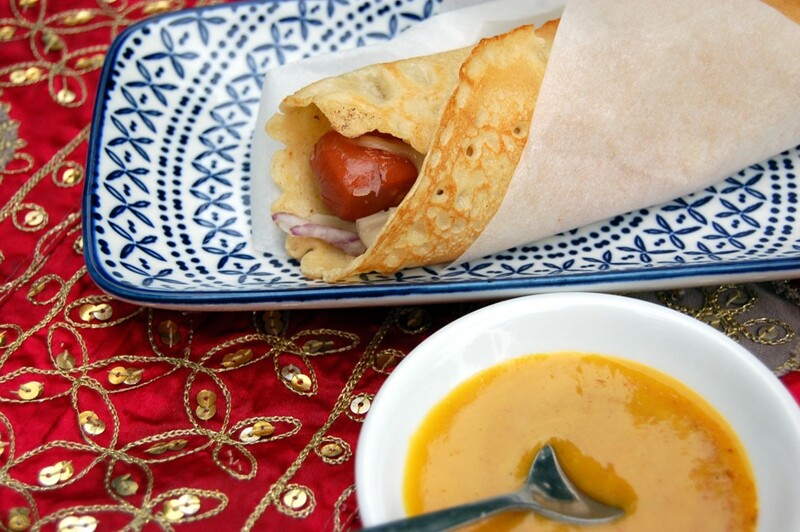 I made my version with a vegan sausage and added Arvinda's Curry Powder to both my crepe batter and mixed it into the mustard, taking a subtle hint from the German tradition of currywurst. 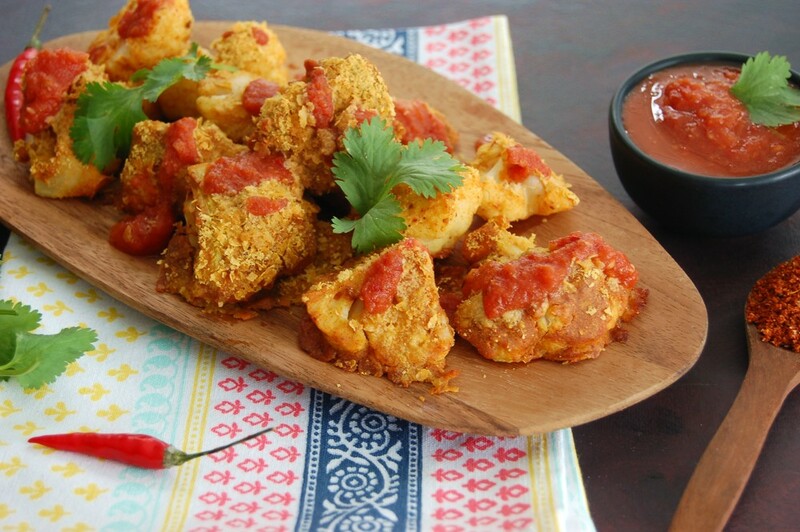 I added optional fillings for more flavour including red onion, green chili and cilantro. For a traditionalist, this may be a bit overboard but I tend to always opt for more flavour. Tasting this for the first time, I was impressed how delicious it was considering its simplicity. 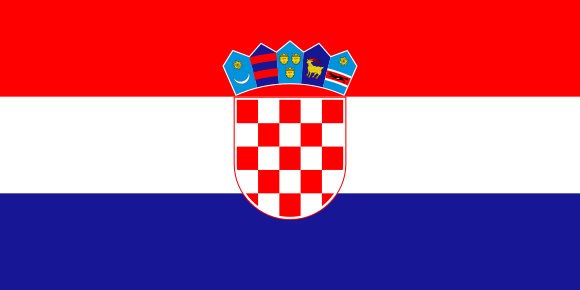 I have to support the Croatian team too! 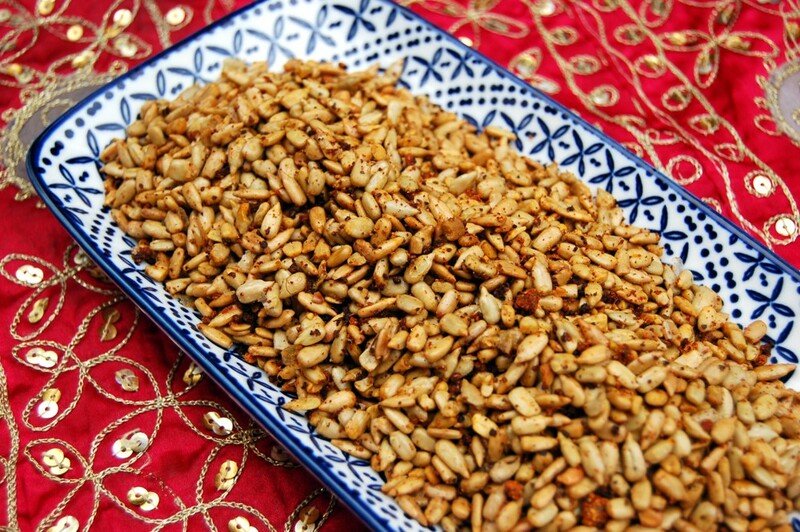 :) I made a really quick snack of Tandoori Spiced Sunflower Seeds with Lime. 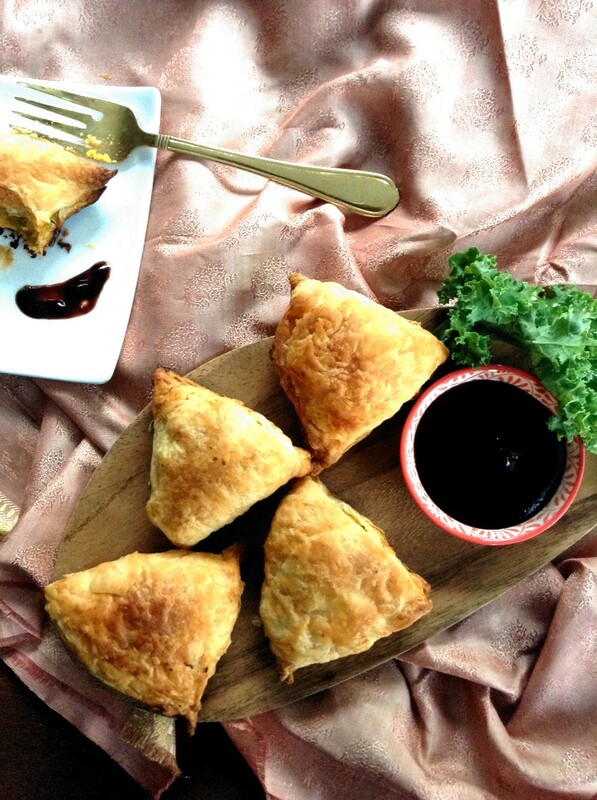 Incredibly addictive and offering some good sustenance for a 90-minute game, I can see why this is a popular snack to eat at a soccer match in Croatia, or anywhere in the world for that matter. These seeds are an amazing topper on any salad or delicious sprinkled on top of warm steamed vegetables, so keep that in mind too and consider making a double batch! Now that the food is sorted out, cheers to both teams - and may the best one win! 1) In a medium bowl whisk crepe ingredients together. Refrigerate for one hour. 2) Heat a non-stick skillet on medium-high. Add butter (or oil) and 1/2 cup of batter. Swirl batter around skillet to create a round crepe with even thickness. Cook until golden brown on both sides. Continue with remaining batter. 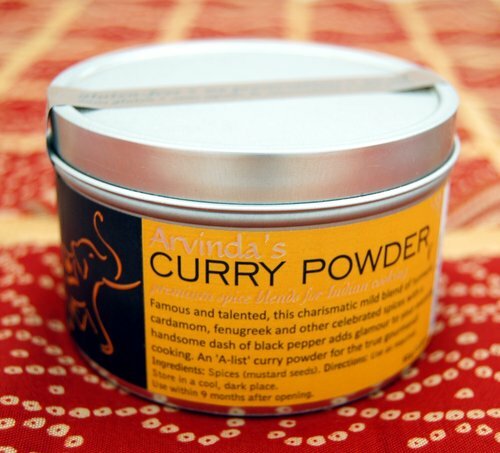 3) Mix ARVINDA'S CURRY POWDER into mustard. 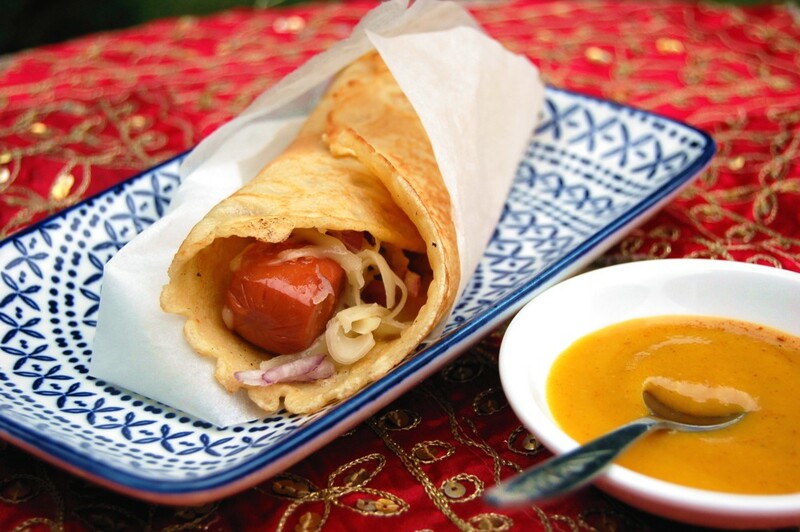 4) To assemble, place sausage in crepe, top with cheese, red onion, green chili and cilantro, and drizzle with curried mustard. Roll and enjoy! 1) In a large skillet, heat oil on medium-high heat. 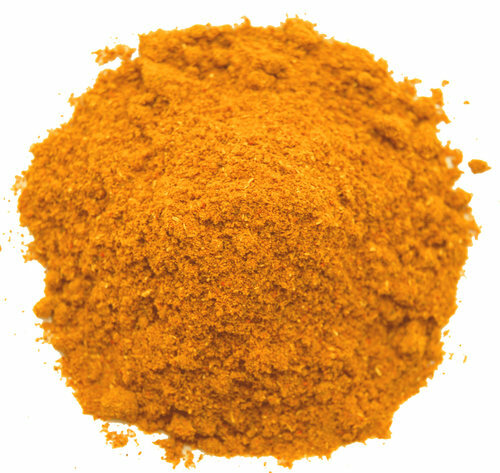 Blend in ARVINDA'S TANDOORI MASALA. 2) Add sunflower seeds and gently fold in with spices. Garnish with a squeeze of lime. Earlier this week as we "officially" transitioned into summer, I was thinking about satiating and healthy snacks to pack for long drives and day trips, something to stash in my purse for when I'm out and about or a nice bite to bring out for a gourmet picnic spread. 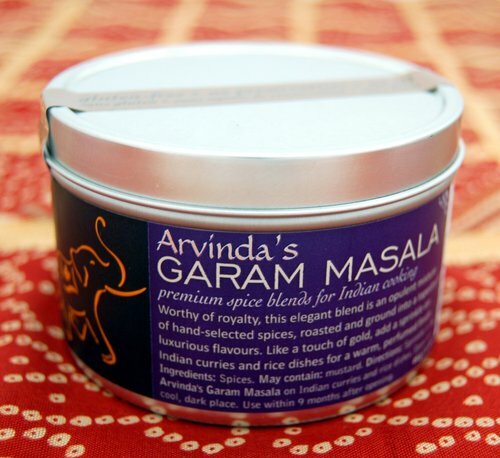 Always thinking about flavour, I selected Arvinda's Tandoori Masala because it pairs nicely with maple syrup. 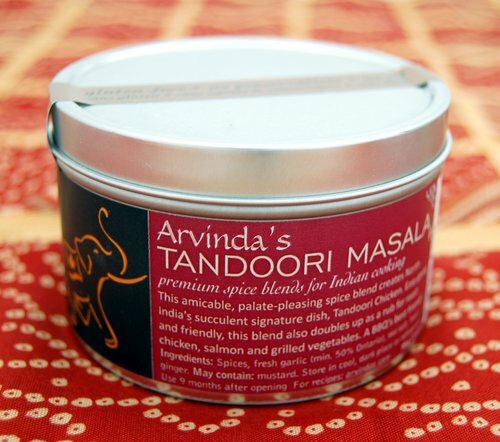 Whether on vegetables, tofu, paneer or salmon, Arvinda's Tandoori Masala makes a wonderful glazy marinade when mixed with maple syrup. 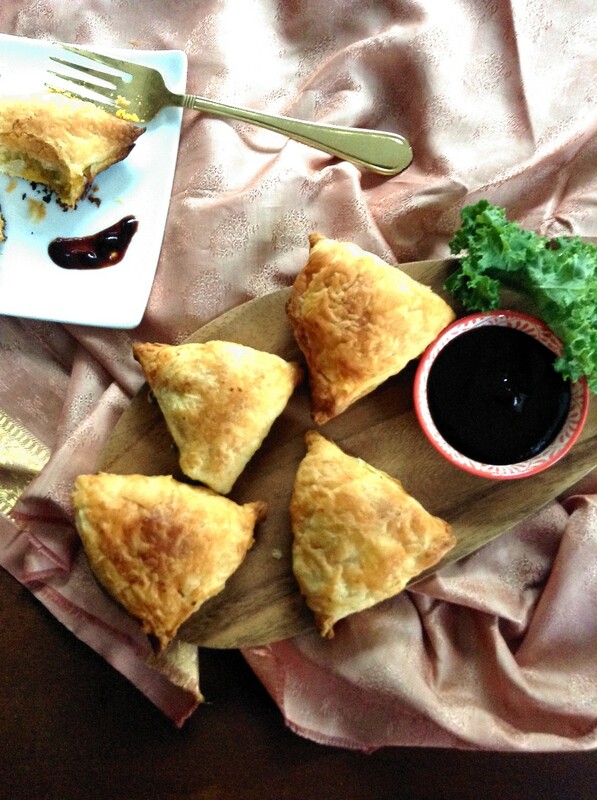 And with Canada Day weekend upon us I'm definitely thinking 'everything maple'! 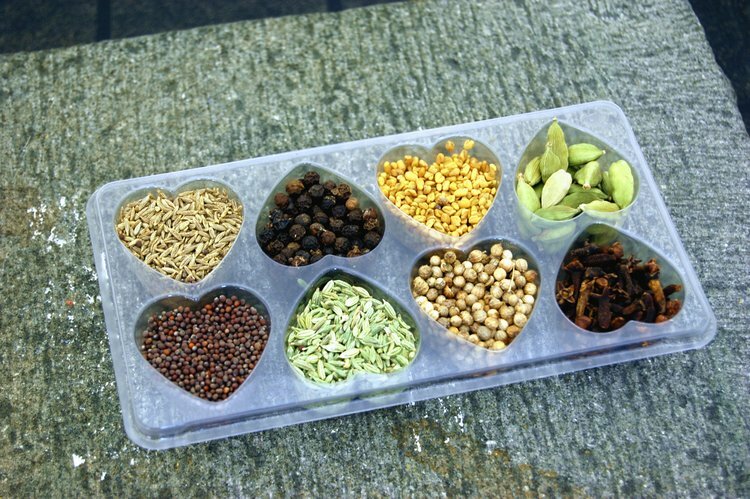 You can also set these out in a small bowls when entertaining as a side nibbler alongside drinks on the patio. 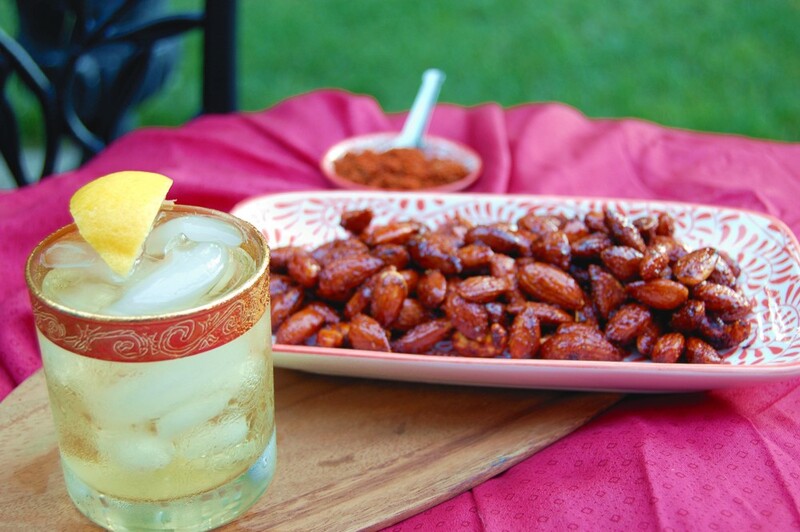 They go terribly well with a cold drink, maybe because they hit the notes of sweet, spicy and salty all in one bite. 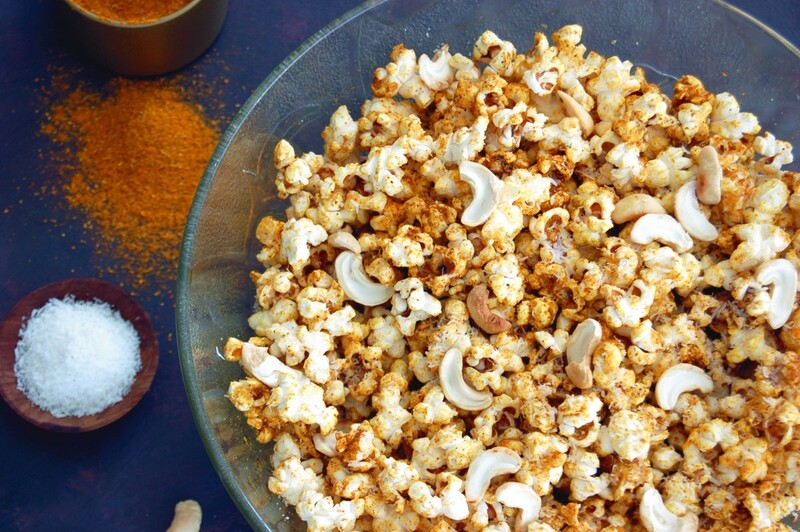 I suggest making one batch of cashews and one batch of almonds, just to mix up the textures. 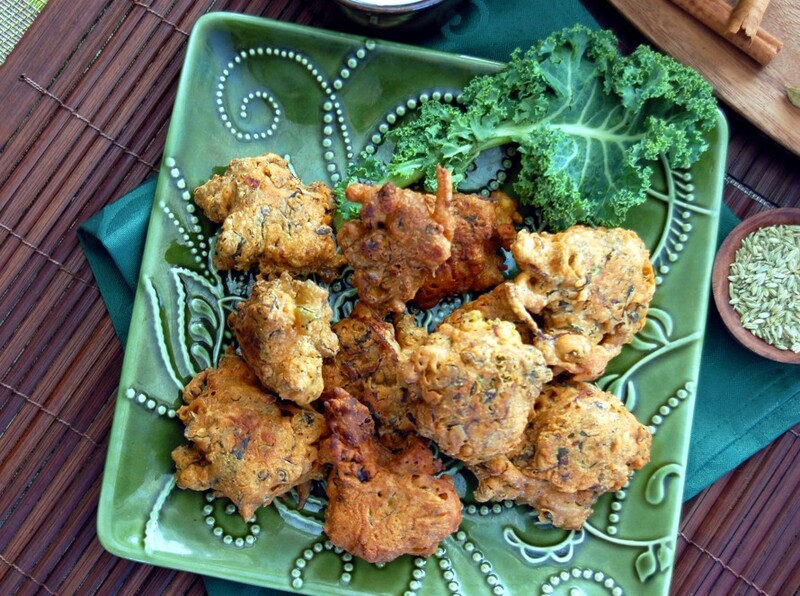 I made a triple batch of these Tandoori Mapled Almonds. Store in an airtight container. 1) Preheat oven to 250F. 2) In a heavy bottom skillet, heat almonds on medium heat for a few minutes until gently toasted. Remove and set aside. 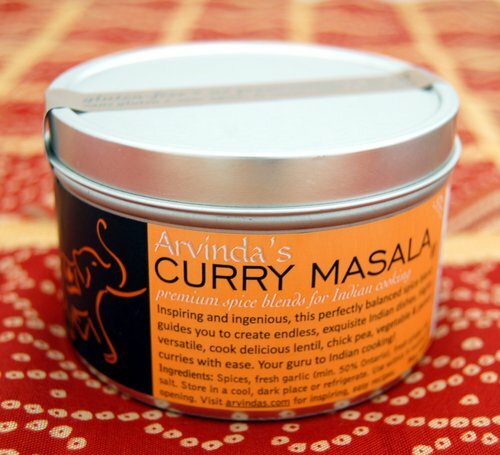 2) In the same skillet add pure maple syrup and blend in ARVINDA'S TANDOORI MASALA. 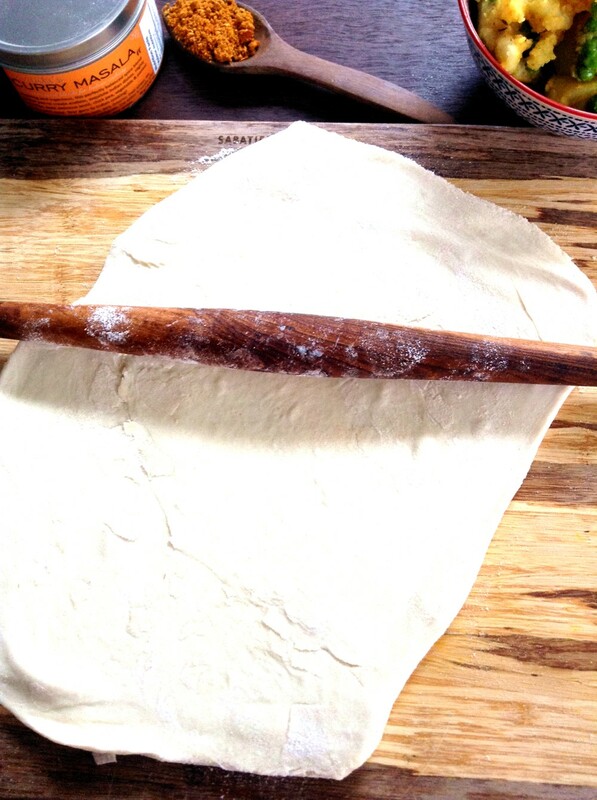 Fold in almonds and sprinkle on tamari. Mix. 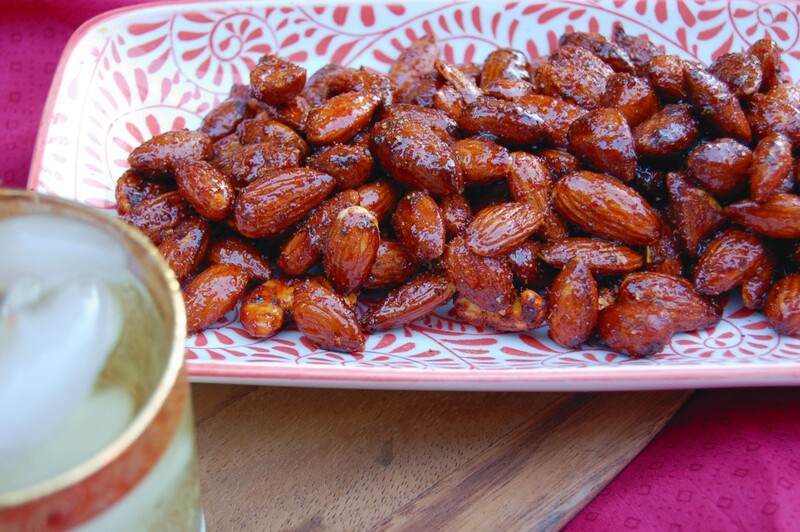 3) Place coated almonds on a baking sheet and toast in oven for 15 minutes. Remove and cool before serving. 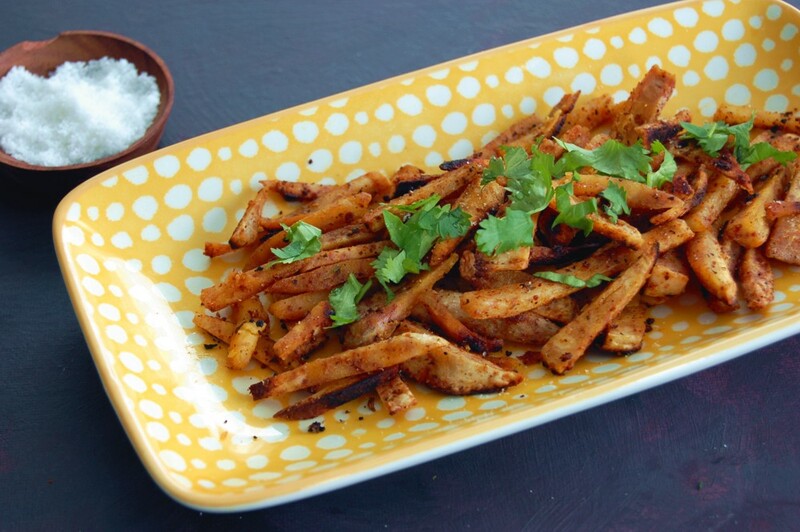 Tandoori Spiced Taro Root "Fries"
Recently, I've been hooked on taro root. Upon most of my visits to the Asian supermarket, the humble root always seems to make it into my shopping basket. Maybe that's because there's always such a large display in the produce section being a conspicuous root itself -- and large in size and hard to miss, it raises a certain level of curiosity. It's a 'curious' vegetable one could say! As I was rummaging through the taro root pile in the Asian store last week, a curious woman asked me why I was buying it (meaning, what was I planning on doing with it!). She didn't know what it was or how to cook with it, so I explained I was making taro 'fries", cooking it just like a potato. 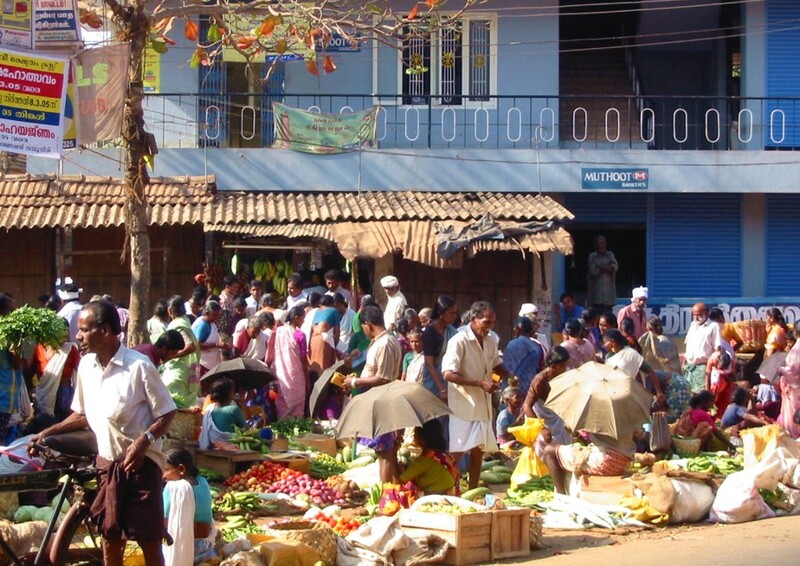 I actually didn't realize taro root is native to India (and parts of Southeast Asia), but recall seeing it in the markets in South India, as pictured below. 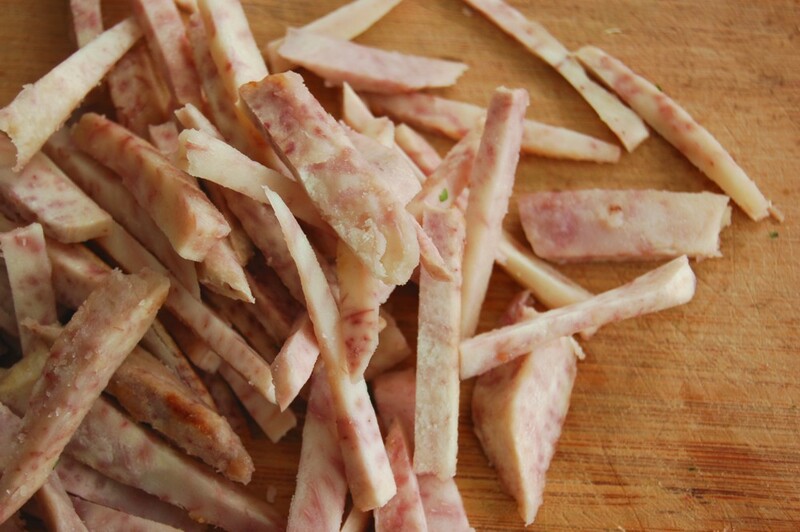 Taro has a beautiful nutty flavour, a soft, creamy texture and takes in flavour quite nicely. 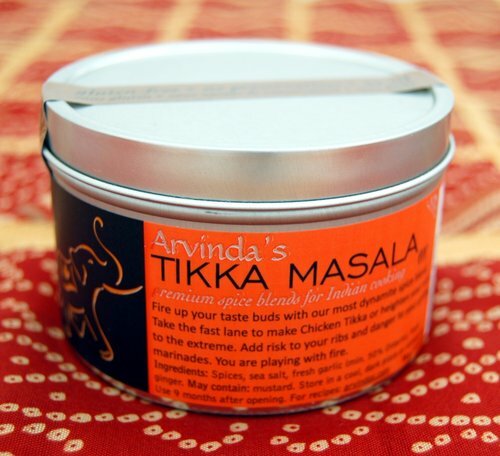 I selected Arvinda's Tandoori Masala to add a bite of heat and fantastic spice flavour. I discovered the taro root is high in fiber, lowers blood sugar levels and is high in vitamin C. Prepare the taro root by peeling it, chopping it and boiling it - just like a potato! Easy. 1) Heat oil on medium-high heat. 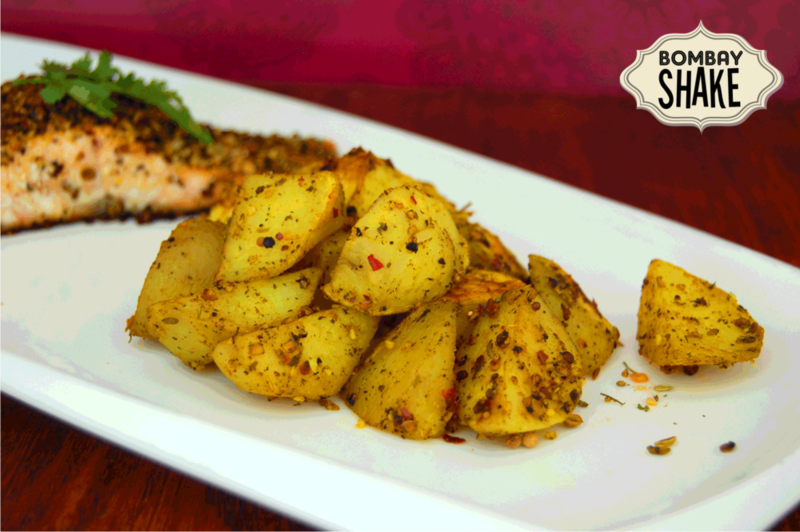 Add ARVINDA'S TANDOORI MASALA and blend well. 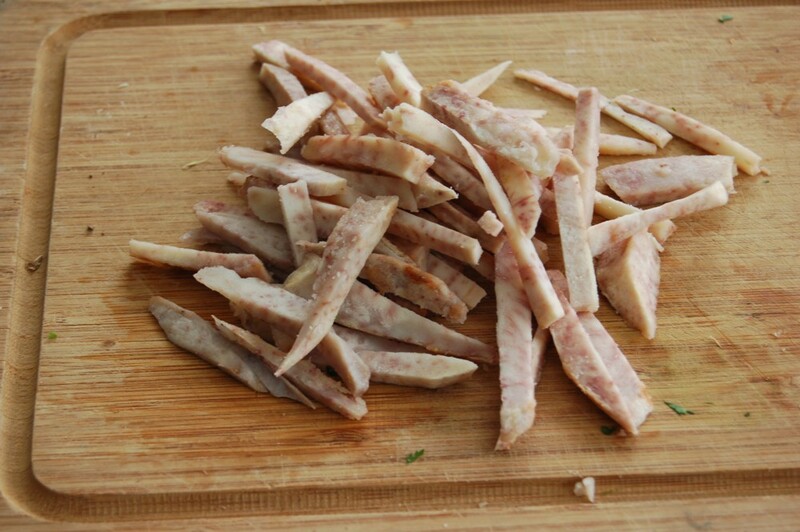 2) Add cooked taro "fries", coat well and cook for a few minutes until crispy. 3) Garnish with cilantro and sea salt.